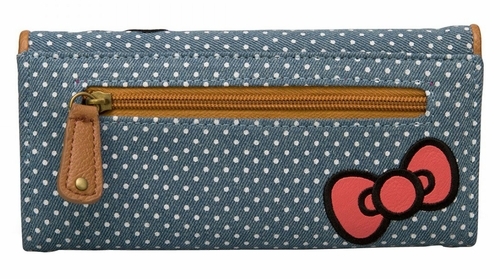 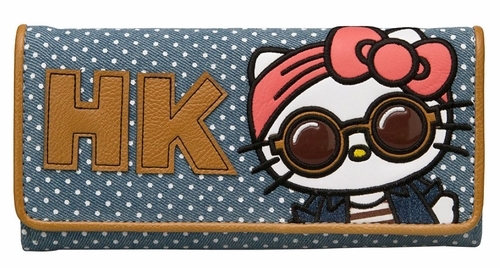 Start your summer off in style with this cute Hello Kitty wallet! 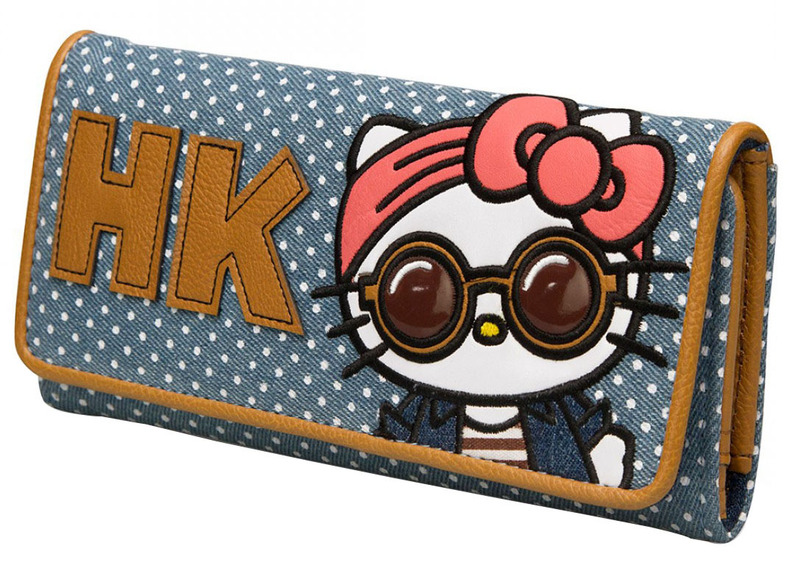 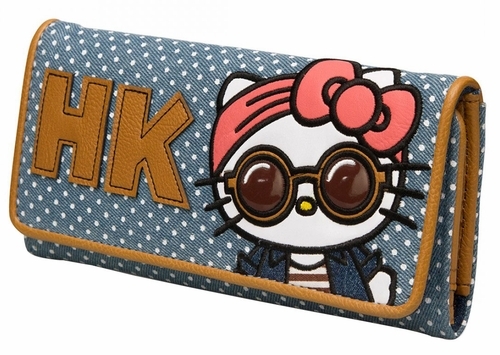 This tri-fold denim wallet features faux leather appliqu�, with embroidered and printed details of Hello Kitty in her shades and hip summer outfit. Don�t miss out on the matching tote! 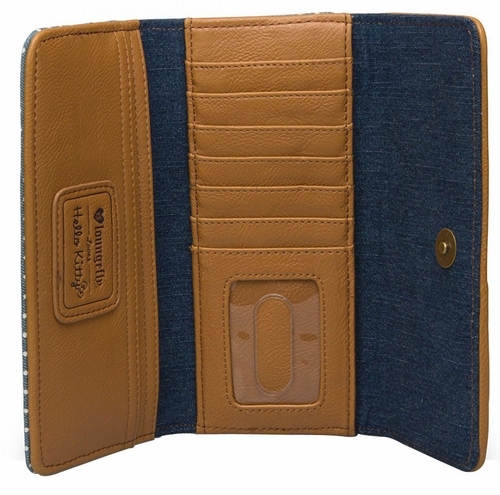 Denim Tri-fold Wallet with Faux Leather Applique. Has Embroidered and Printed Details.